Many UK higher education institutions offer stand-alone modules that can be undertaken without registering for a postgraduate award (such as PGCert, PGDip etc). If you have completed such a module, please record this in the Formal Postgraduate Qualifications section of your membership progression form as ‘M-level module’ and provide the module title and number of M-level credits awarded in the subject column (along with the other details prompted in that section). You must attach a certificate, letter or some other documentary evidence of your achievement of the module, as provided by the awarding institution. Masters programmes offered by UK higher education institutions are typically modular in nature and have three exit points: Postgraduate Certificate (60 M-level credits), Postgraduate Diploma (120 M-level credits) and MSc (180 M-level credits). If you have been awarded a PGCert, or are part way through a planned Postgraduate Diploma or MSc programme and have completed between 60 and 119 M-level credits to date, please record this in the Formal Postgraduate Qualifications section of your membership progression form and provide the other details prompted in that section. You must attach a certificate, letter or some other documentary evidence of your achievement as provided by the institution. You also need to attach an outline of the programme (from the University website or other source) which lists the modules studied. Masters programmes offered by UK higher education institutions are typically modular in nature and have three exit points: Postgraduate Certificate (60 M-level credits), Postgraduate Diploma (120 M-level credits) and MSc (180 M-level credits). If you have been awarded a PGDip, or are part way through a planned MSc programme and have completed between 120 and 179 M-level credits to date, please record this in the Formal Postgraduate Qualifications section of your membership progression form and provide the details prompted in that section. You must attach a certificate, letter or some other documentary evidence of your achievement as provided by the institution. You also need to attach an outline of the programme (from the University website or other source) which lists the modules studied. If you have completed a postgraduate Masters degree, please record this in the Formal Postgraduate Qualifications section of your membership progression form and provide the details prompted in that section. You must attach a certificate, letter or some other documentary evidence of your achievement as provided by the awarding institution. You also need to attach an outline of the programme (from the University website or other source) which lists the modules studied. For the purposes of RCC membership, a doctorate is deemed to have a value of 180 M-level credits. If you have completed a doctorate, please record this in the Formal Postgraduate Qualifications section of your membership progression form and provide the details prompted in that section. You must attach a certificate, letter or some other documentary evidence of your achievement as provided by the awarding institution. Please also attach an outline of your studies, such as your thesis abstract. Successful completion of the Certified Chiropractic Extremities Practitioner (CCEP) course and certification examination is recognised as equivalent to 20 M-level credits for the purpose of RCC membership. If you have achieved CCEP certification, please record this in the Professional Certificated Learning section of your membership progression form and provide the details prompted in that section. You must attach your certificate as evidence of your certification. Chiropractic radiology is a specialised branch of chiropractic and the American Chiropractic Board of Radiology (ACBR) provides board certification examinations in this field. Chiropractors who undertake the training (approximately 4,000 hours in practical and didactic training during their three- to four-year full-time residencies), pass the certification process and maintain their continuing education requirements are eligible to use the designation of diplomate of the ACBR (DACBR). For the purposes of RCC membership, the RCC recognises the DACBR diploma as equivalent to 180 M-level credits. If you have achieved the DACBR diploma, please record this in the Professional Certificated Learning section of your membership progression form and provide the details prompted in that section. You must attach a certificate, letter or some other documentary evidence of your achievement as provided by the awarding institution. The International Academy or Animal Chiropractic (IAVC) basic course, which utilises the Options for Animals International curriculum, is designed for chiropractors wishing to learn the clinical techniques necessary to treat both small animals and horses using chiropractic techniques. If you have achieved this award, please record this in the Professional Certificated Learning section of your membership progression form and provide the details prompted in that section. You must attach a certificate, letter or some other documentary evidence of your achievement as provided by the awarding institution. The International Certified Chiropractic Sports Practitioner (ICCSP) certificate, formerly known as the ICSSD, is a postgraduate program offered by FICS (The International Federation of Sports Chiropractic or ‘Federation Internationale de Chiropratique du Sport’). Those who successfully complete the programme are deemed by FICS to have met appropriate minimum standard in theoretical and practical sports chiropractic education to serve on FICS teams at official FICS international events. For the purposes of RCC membership, the RCC recognises achievement of ICCSD/ICCSP as equivalent to 60 M-level credits. If you have achieved this award, please record this in the Professional Certificated Learning section of your membership progression form and provide the details prompted in that section. You must attach a certificate, letter or some other documentary evidence of your achievement. The Options for Animals – UK course has been set up to provide a vocational training seminar series in chiropractic for animals that whilst providing plenty of hands on learning, also makes accessible M level qualifications. With its course updates, students can gain a certificate equivalent to 60 M level credits or complete further study and attain a diploma or masters level. The course is situated just north of Durham in picturesque surrounds and animals are always on site. If your clinic has achieved the RCC’s CMQM and you were directly involved in developing the application, this may be recognised as equivalent to a maximum of 15 M-level credits. Please indicate in the Other Professional Activity section of your membership progression form when your clinic’s first CMQM was achieved and indicate the extent to which you were personally involved in its preparation i.e. ‘one of a team of three involved’, ‘solely responsible for producing the application’ etc. The RCC will reserve the right to check the veracity of this statement. Participating in a major (national or international) sporting event (e.g. Olympic Games, national/international championships etc) as a duty or team chiropractor is recognised for the equivalent of 10 M-level credits per week for the purposes of RCC membership. Please indicate in the Other Professional Activity section of your membership progression form which significant sporting events you have participated in as a duty or team chiropractor ensuring that you list accurate inclusive dates for each event. The RCC will reserve the right to check the veracity of this statement. Undertaking the role of team chiropractor for a professional or semi-professional sports team or individual is recognised for the equivalent of 10 M-level credits per year for the purposes of RCC membership. Please explain in the Other Professional Activity section of your membership progression form which team you are working/have worked with ensuring that you list accurate start and end dates of your role for each team. You must also state the average number of hours per week spent working with each team listed. The RCC will reserve the right to check the veracity of the information provided. Any completed reflective CPD form/s should be appended to your membership progression form. If your clinic has achieved the RCC’s PPQM and you were directly involved in developing the application, this may be recognised as equivalent to a maximum of 15 M-level credits. Please indicate in the Other Professional Activity section of your membership progression form when your clinic’s first PPQM was achieved and indicate the extent to which you were personally involved in its preparation i.e. ‘one of a team of three involved’, ‘solely responsible for producing the application’ etc. The RCC will reserve the right to check the veracity of this statement. Successfully mentoring a PRT candidate throughout the course of their PRT programme can normally be recognised as equivalent to 10 M-level credits for the purposes of RCC membership progression. This means that, for example, a Licentiate of the Royal College who has successfully undertaken the role of PRT Trainer for six PRT candidates could achieve full RCC Membership (60 credits). In order to claim credits for this activity, you must download and complete a supplementary PRT Trainer Credit Form and append it to your membership progression form. Each article published in a peer-reviewed publication can be recognised for up to 12 M-level credits for the purposes of RCC membership, depending upon the applicant’s contribution. Please list any peer-reviewed articles in the Other Professional Activity section of your membership progression form and be sure to append paper reprints of each of these to your application form. 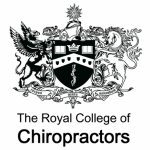 For each year you are an active member of a chiropractic-relevant committee, a maximum of 5 M-level credits are recognised for the purposes of RCC membership. Please outline any relevant committee activity in the Other Professional Activity section of your membership progression form and state the date you joined (and date you left) the committee, as applicable. The RCC will reserve the right to check the veracity of the information provided. Note that RCC central committee work and RCC Regional Faculty and Specialist Faculty roles, including Chair, PRT Regional Tutor, Director of Academic Affairs/CPD Organiser and Secretary normally attract credits in this category.